Or maybe ever. 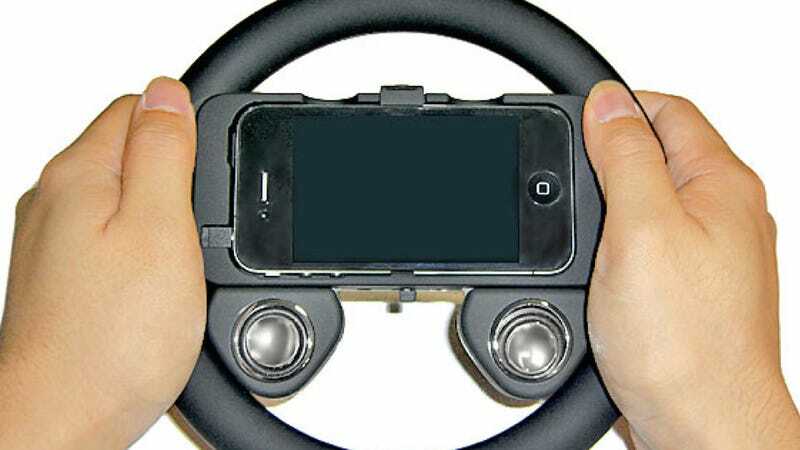 Somebody decided to make a Wii Wheel type add-on just for the iPhone 4, so that players can look like utter goofballs while playing iPhone racing games. The wheel even has external speakers. There's a jack that connections to the iPhone, and the speakers are powered by a Nokia battery that is sold separately, but that can be charged via USB. The wheel is priced at ¥1,599 (US19). The added embarrassment is totally free.